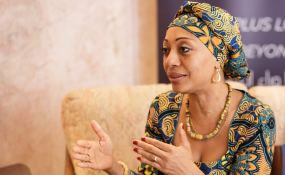 Pan-African unity is often treated like a pipe dream by the continent's powerful, but there are some, like Samia Nkrumah, who believe in the vision of people like her father, Kwame. Daily Maverick spoke to her and a few other thinkers who gathered at the shores of Ethiopia's mystical Lake Tana about whether this ideal could become real. Africa could be a country, but when last did you hear a politician campaign for an election at home with promises of opening more borders and ceding sovereignty? Pan-Africanist talk is often hauled out and polished on special days like 25 May - Africa Day - and heads of state and African Union officials use it to decorate speeches at this organisation's summits twice (soon to be once) a year.